For anyone who has any amount of land, be it small or large, there is a place for boxwood in your landscaping. It has a royal lineage throughout plant history, it’s been planted for centuries in large estates and kingdoms with castles. There are about seventy species in the family but here in the Americas we generally have used only a handful of varietals. 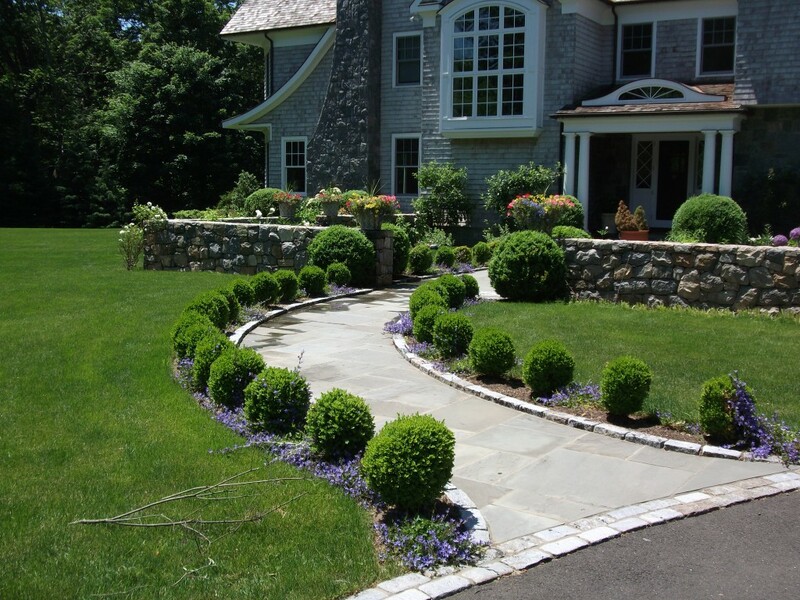 Boxwood landscaping refers to an evergreen, generally slow growing shrub or small tree with small round leaves. In the past there were mostly American and English boxwood, used to create hedges and as landscaping. Both of these varietals grew rather large, but it took a very long time, which is why some of the older boxwoods are carefully dug and moved from old estates to new homes. An interesting detail is that the wood is very dense so through the ages it has been used in many different applications, some musical instruments have boxwood as part of their construct. Those of us with more modest landscapes are still in luck as many smaller dwarf varietals have been created. Boxwood is invaluable in landscape design as it provides a wonderful statement on its own or provides a beautiful small leaved green background texture for other decorative plants. 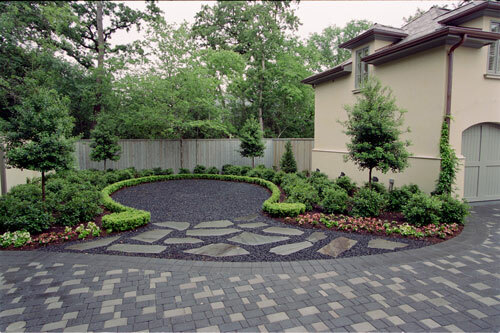 Here at Arbor Hills Trees & Landscaping, we can help you with the design and implementation of your landscape. We know all about boxwood and where to get the unusual varieties now on the market. These shrubs like sunshine, they also do fine in partial shade conditions, but in really hot areas it’s best for them to have some afternoon shade. They don’t like intense winter winds so if you are locating some in your yard be sure to take that into consideration. Cold winter winds will cause discoloration and dieback, not very attractive for a prime player in your landscape. If you have boxwood currently in your landscape you surely enjoy the beautiful new green growth during June. This growth creates a bit of shagginess but is gorgeous to look at, and you can trim it up later in the month as it hardens off and blends into the rest of the shrub. 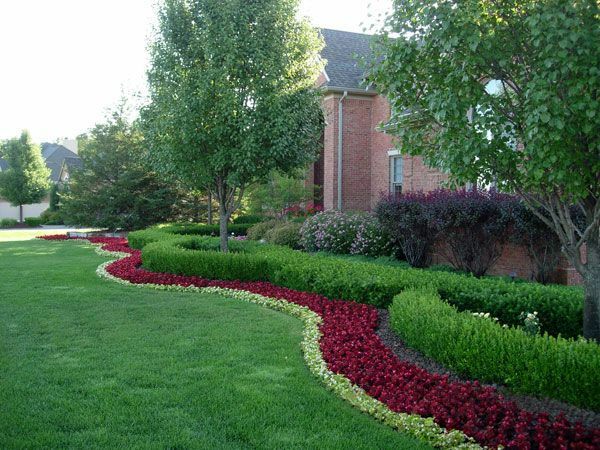 Here is a great example of boxwood landscaping at one our recent project locations.